Musicians Institute Students – Please Note: Your MI Student ID Credentials are not Used to Access or View Textbooks. If you are currently enrolled at Musicians Institute, you will receive access to books as part of your tuition. 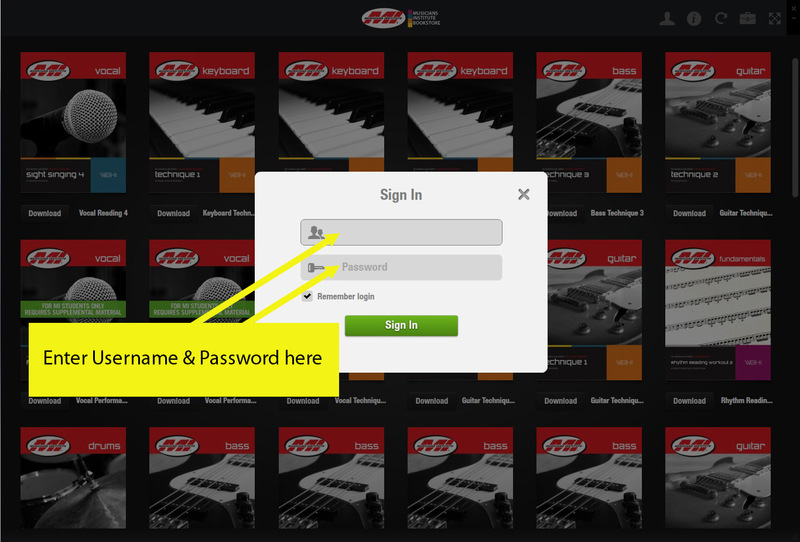 You will receive your login credentials from Musicians Institute Administration office at the beginning of each quarter. If you believe that you have not received these credentials, please contact the Musicians Institute Administration office. Purchased books are viewed using credentials you create at checkout at MusiciansInstituteBookstore.com, or with your existing Apple or Google Play IDs. Please see below for more information. 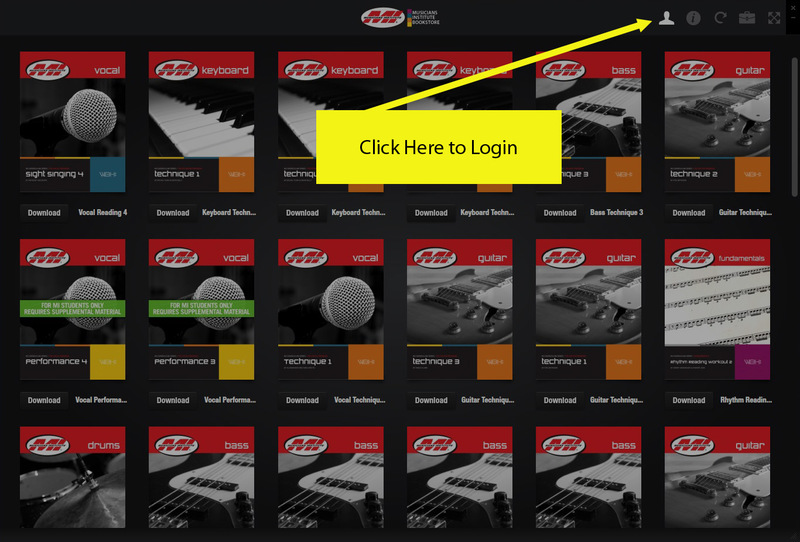 Books purchased from this website or provided as part of your Musicians Institute tuition, can be viewed in any of our free apps for Apple iOS and Google Android devices, and Apple Mac and Windows computers. Books purchases from within the MI Bookstore App for iOS and Android are processed by your existing Apple and Google Play ID. These are the same accounts you use to make purchases from iTunes, Google Play or other in-app purchases on your devices. Once you make the purchase from within the app on your Apple or Android device, the book will become available for viewing instantly on that device, within the app. You will be able to view the purchased book on your other iOS or Android devices by using your Apple or Google Play ID and restoring purchases when promoted from within the MI Bookstore app. Please note – books purchased using Apple or Google Play IDs through in-app purchase in the MI Bookstore app can only be viewed on that system’s devices. Apple ID purchases can only be viewed on devices running iOS. Google Play ID purchases can only be view on devices running Android. 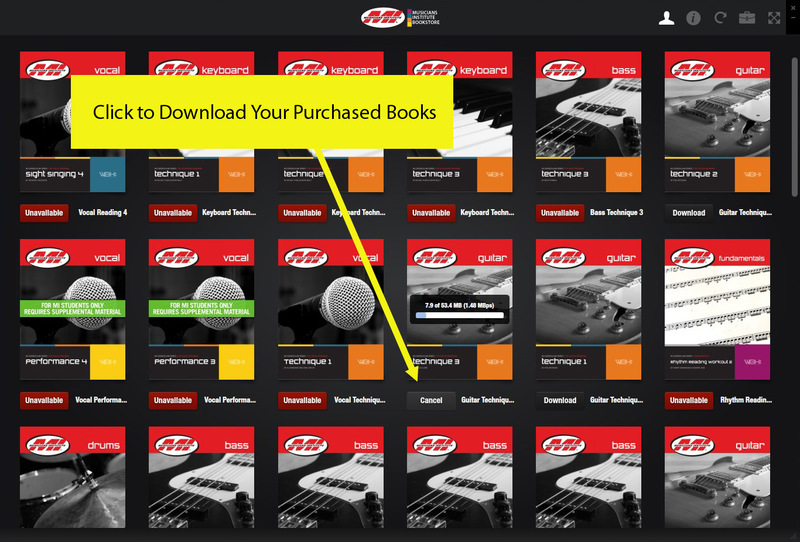 For the most flexibility in content access, we suggest purchasing books through MusiciansInstituteBookstore.com – which allows access on all devices.